That small interaction made my entire day. I felt so incredibly loved and taken care of. I can tell you where he learned that from, his father. My husband is always doing little things to check in with me, asking me if I’m okay or if I need anything. Our little boy has started to mimic that behavior and it has become a part of who he is. Now, I’m blessed with two men in my life that are empathetic and selfless. In today’s scripture reading, Jesus says that his actions are based upon what the Father has shown him. This is so incredibly true! We, as parents, are constantly trying to show our best selves to our children so when they go out into the world, they can show what they have learned. Each one of you, sweet sisters, have different ideas of family. Some of you may be like me, married with children. Others, young and in college. For some of us, our friends make up our family. However family is defined for you, God the Father should be the center. Just as my son has learned empathy from his dad, so may we learn an abundance of Godly characteristics from the Father. Christian music on the way to practice, get up 5 minutes early before class to pray, pray for the people within our family that are fighting, we can center ourselves and our family again. The more time we spend with Christ, the more we are apt to emulate him. 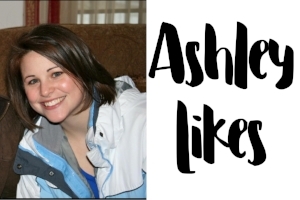 My family and I have experienced so much life together-good, bad, and the downright terrible. Each time, we have tried to rely on Christ. We are currently going through a trial now, one that has really shaken me. We were recently told that expanding our family even more is no longer a possibility due to health concerns. I have cried out to the Lord multiple times “Why?” He has reassured me with early morning snuggles with my babies and encouraging, thoughtful messages from my husband throughout the day. I will never know “why,” but I can be comforted but the people that the Lord Himself gave to me. Each family will have trials and tribulations that will shake the core. It can destroy your faith if you’ll let it. However, the Lord has got this. He really does. You have to listen closely to His whispers. 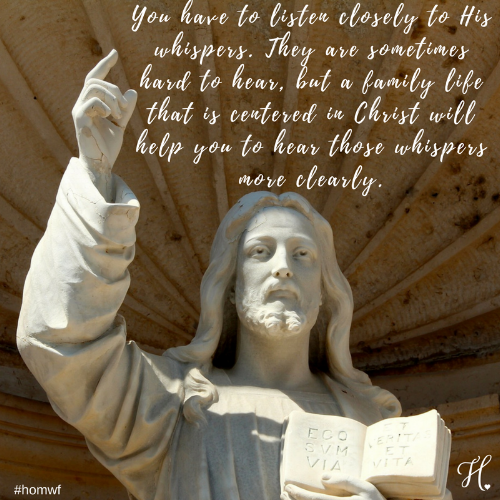 They are sometimes hard to hear, but a family life that is centered in Christ will help you to hear those whispers more clearly.